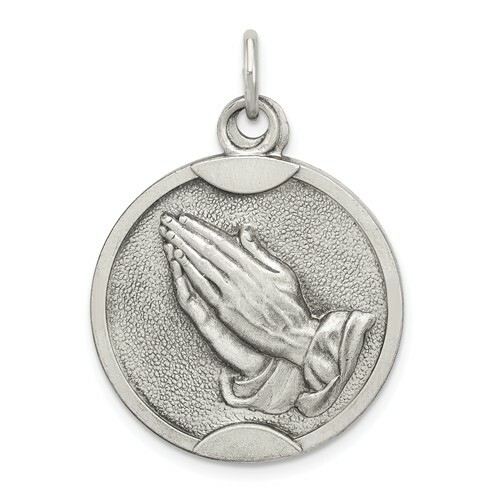 Praying hands and serenity prayer medal is made of sterling silver. 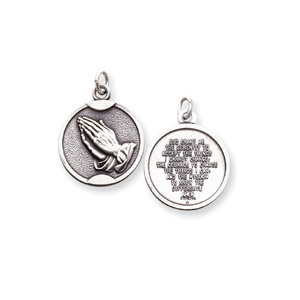 The serenity prayer is engraved on the back. Measures 7/8 inch tall by 7/8 inch wide without bail. This item is the size of a nickel. Weight: 4.53 grams.